Looking to sell a Yanmar digger or excavator? 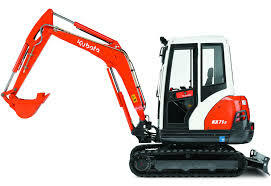 Do you have a Yanmar digger or excavator for sale? Have you suddenly found yourself with some Yanmar machinery or equipment which you are now no longer in need of? 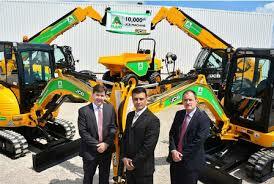 Well then you have come to the right place as Sell My Digger buys all manner of Yanmar excavators for sale. If you have a Yanmar Digger for sale then be sure to get in touch with us for a quick quote that will offer a fair cash price for your machinery. Yanmar is the proud innovator of excavation equipment, having launched the world’s first compact excavator back in 1971. The company has since grown, expanded and innovated over the last 40 or so years, with 2 main series of models now on offer – the VIO and SV. Their excavators range from under 1 tonne, up to 10 tonnes. Whether you’re looking for something small and secure, or larger with more swing tail movement, Yanmar can provide. No matter the make or model, we will take a look at your Yanmar equipment and purchase it from you. If you would like to sell a single digger or a whole fleet of excavators from this brand, it’s really easy to switch your extra machinery for cash. All you have to do is simply get in touch with us via our contacts page or by giving us a call. Then simply tell us a bit about the digger or diggers you have for sale and we’ll be able to relate this information into a comprehensive quote. We offer fair cash prices for your equipment and aim to ensure you have a quote within 48 hours of your enquiry, so you’re never left waiting. If you accept the cash price then all you have to do is arrange collection and then the money can change hands – it really is as simple as that! If you have a Yanmar digger or excavator for sale, Simply fill in the Request a Valuation form now and we’ll be straight in touch to value your Yanmar!